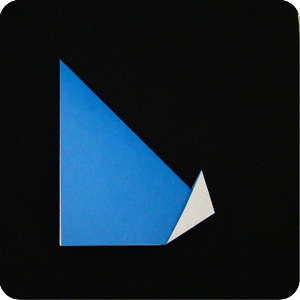 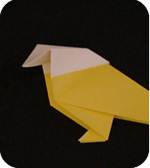 The Inside Reverse Fold is commonly seen in the making of origami birds. 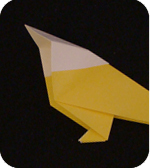 In particular, the head of the bird is often folded-in so it is sandwiched in between outer layers of paper. 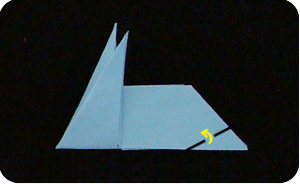 This basic origami move allows the model to be more stable and secure so it does not unravel by itself. 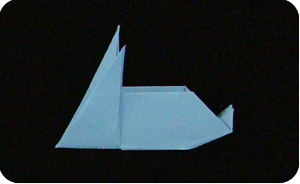 It is also a more elegant fold since it positions the layers of paper more evenly and symmetrically compared to a valley fold. 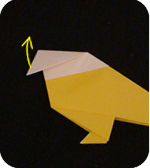 Make a valley fold where you want the inside reverse fold to be located. Reverse some of the folds (change from valley fold to mountain fold). 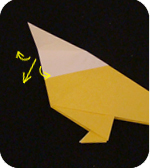 Push the paper in between the outer layers of paper. 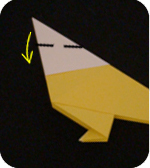 Squeeze flat. 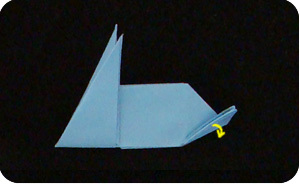 Fold the paper where you want the inside reverse fold to be located. Reverse some of the folds (valley converted to mountain fold) and tuck the paper in between outer layers of paper.